Whew! Weeks spent looking for a job have finally paid off. You found a position that has your name written all over it. You know you need a cover letter… But what goes in a cover letter besides blood, sweat, and tears? If you don’t include the right things in your cover letter, your dream job will slip by. If you know what to put in a cover letter, writing one will be a breeze. Not only that—you’ll actually write an attention-grabbing cover letter that will get employers on the phone ASAP. What should be in a cover letter to start getting interviews. What goes in a cover letter introduction that makes managers read on. A great hack you have to put in a cover letter to make sure employers respond. Plus, what to include in a cover letter—examples from career experts. Want to save time and have your cover letter ready in 5 minutes? 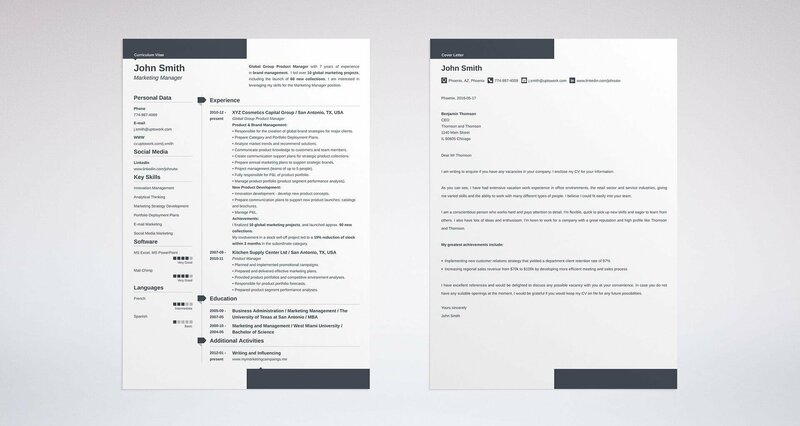 Try our resume builder, which doubles as a great cover letter builder. It’s fast, easy-to-use, and you'll get tips and right-vs-wrong examples while writing it. 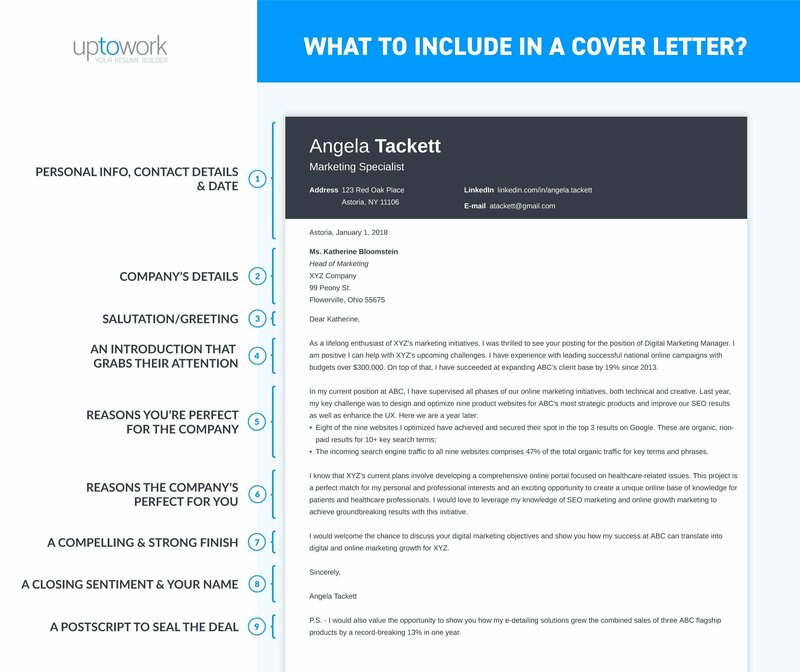 See 10+ cover letter templates and create your cover letter here. First up when putting together a cover letter is the heading area, as it was when you were starting your resume. The heading area is where you’ll put your personal information, and its look (cover letter fonts and design) may vary depending on the cover letter template that you use. Must-haves include your name, email address, and phone number. Nice-to-haves are your mailing address, branding statement, and a LinkedIn profile. End your cover letter header by inserting the date of writing before moving on. Pro Tip: Don’t add the rest of your social links, profile URLs, and portfolio information with your contact details as you did on your resume, unless the cover letter template you choose includes an area for them. Immediately after the date, it’s time to add the addressee. In your case, it’s a company, but try to find the specific name of the hiring manager or HR director to insert at the top of the company address. This will make it feel more personalized and will be much more compelling. Pro Tip: Research on the company website, or a site like Glassdoor, to locate the name of the hiring manager. This gives it that personalized touch, and it will help in the following sections of your cover letter, as well. You’d scowl if the barista at Starbucks called out, “Hey, you!” when handing over your mocha frap, right? Well, the same thing goes for cover letters when the hiring manager reads it, as well. One of the best cover letter tips out there is to call them by name. Something like, “Dear Ms. Srivastava,” will work just perfectly. Using a title and their last name is formal and fine, but you can also grab their attention by calling them by their first name: “Dear Jacqueline,”. Now, what about that “Dear” part? Dear is regarded as one of the best cover letter salutations out there, as it is useful whether the letter is formal or informal, and whether you know their name or not. Now we get to the good stuff: the opening statement. Like with the compelling first line in a great novel, the opening paragraph on a cover letter should hook them immediately in a way that makes them want to read further. As a longtime fan of United Airlines’ peerless flying experience, I was excited to see the opening for long-haul flight attendants. 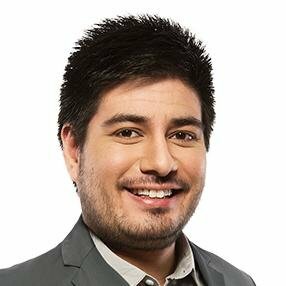 With my experience as an award-winning flight attendant for Lufthansa, I know I can use my skill set and knowledge to become a valuable member of the United Airlines team. This one is written about the company, and it gives some compelling arguments of why they would be a great addition to the company’s team. This makes a great opening, and it will make them want to read more. Pro Tip: As you called out their name in the greeting, mention the company’s name in the opening paragraph, as well. It feel more personalized, and it ensures the recruiter that this is a dedicated cover letter, not one you mass-emailed all over the continent. You’ve got them hooked, now start reeling them in with your second paragraph. In the second paragraph of a cover letter, show them how you are the perfect fit for the company and team. In my current position as a residential painter, I’ve had many responsibilities and achievements that would serve me well as a future Koffee Konsultants barista. Completing painting jobs all around Manhattan gives me a unique sense of speedy work under high pressure while maintaining quality, something that can translate easily into the fast-paced positions at your cafes. On top of that, my numerous clients have always maintained that I exuded a sense of professionalism while remaining warm and friendly in conversation during jobs, which would be useful in the cozy and inviting atmosphere of the Koffee Konsultants cafe. See that? With that paragraph, you show that even though you have no barista experience, your acquired skills from painting gigs and inherent attitude and friendliness would make you the ideal new hire. Pro Tip: As the items in this middle paragraph are of significant importance to the company and hiring manager, don’t afraid to make this one longer than the rest. Now you’re over the hump, but you still got a little ways to go before the end. For the third paragraph, explain to them why their company and this position in particular is perfect for you. Obtaining the head chef position would be my dream come true. I’ve long been a fan of the seafood dishes you serve and the wines you suggest. In fact, Bahari’s peerless menu is what caused me to study Greek cuisine to begin with. Though I love cooking with all my heart, there is no other restaurant that would make me as happy to work for. I know, should I be honored with the position, that I’d be the envy of the neighborhood as Bahari’s head chef! How about that one? You praised the restaurant and showed them just how great a position there would be for you. You gave specific examples of what attracted you to apply, and just you wait, this attitude will not go unnoticed! Pro Tip: Let your hair down and wear your heart on your sleeve. Skip the robotic tone for the resume, and convey your enthusiasm and excitement for the position here in this third paragraph! Just about there! You’ve grabbed their attention in the opening paragraph, showed them that you will only benefit their company and any team you’re a part of, and told them why this position is just so damn perfect for you. I would welcome the chance to discuss your digital marketing objectives and show you how my successes at ABC can translate into digital and online marketing growth for XYZ. See that? You bring it to a satisfying end by summarizing your letter and then leaving the ball in their court. Pro Tip: How long should a cover letter be? Keep it down to no more than the areas we’ve talked about here. It shouldn’t near a page in length and definitely not a 2-page cover letter! Not much to it, right? That closing sentiment is often called a complimentary close (or complimentary closing), which is then followed by your name to end the cover letter. Pro Tip: You can let loose a bit in your cover letter, but just as with the formal header, where you structured your address and theirs, keep the closing sentiment more formal. Wait a minute, I thought you said we were done! Though not at all a necessary section on your cover letter, adding a P.S. is a great hack when writing a cover letter. Every great cover letter contains a postscript. A P.S. (postscript) at the bottom of your cover letter always draws the attention of the reader, even if they don’t care to read the rest of it. You may notice that what to include in a cover letter has a similar formula to the business letters you may have learned to write in school - and that’s right. Cover letters are formal letters, so they should follow the standard lettering structure. Cover letters for internships follow the same rules. Start with a bang. Your opening sentence and introductory paragraph on your cover letter are important because it’ll determine if the hiring manager continues reading. Mention your relevant skills and work achievements to grab their attention. Show you belong together. Use the second and third paragraphs to show that you are a perfect fit for the position on offer and the company, but also that they are the ideal place you’d love to work at. Finish strong. You kept their attention that far, but have a compelling ending and an attention-grabbing postscript so that they’ll be sure to move on to your resume. Do you have any questions on what to put in a cover letter? Not sure about cover letter structure or the basic cover letter parts? Get at us in the comments below and we will answer your question. Thanks for reading!